As product managers, one of the things that we are always taking a look at is how to drive cost out of the process of creating and selling our products. Over at Whole Foods, with a few bad quarters on the books, their product managers are starting to take a careful look at how their product, the grocery store, is being delivered and they are trying to determine how they can do it for less by changing their product development definition. One of the most obvious things that has shown up is that very little of what Whole Foods does currently is centralized and so the thinking is that by centralizing certain functions they may be able to get better deals and make the individual stores more efficient. 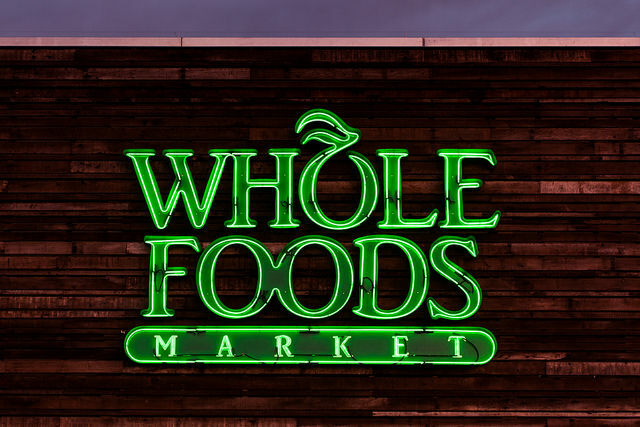 One of the big motivations for making changes in how Whole Foods runs its stores is that for the first time they are facing some serious competition. Other stores that sell groceries such as Kroger and CostCo have seen the success that Whole Foods has had selling organic and locally grown foods and they have boosted their offerings of these types of products. In order to make their offerings different from Whole Foods, they have been lowering their prices. This has resulted in Whole Foods customers going to these other stores to buy the types of foods that Whole Foods initially introduced them to. In order to reduce costs and streamline their operations, the Whole Food product managers want to shift the responsibility for purchasing nonperishable items (packaged foods, dish detergent, etc.) to the company’s headquarters. Previously store managers were responsible for coordinating these purchases. Additionally, store managers currently use very little automation and do a number of tasks by hand. The product managers want to deploy software that will automate the process of scheduling workers and determining what needs to be purchased in order to replenish the store’s shelves. All of this change sure sounds like the kind of things that we’d all like to add to our product manager resume. However, in the case of Whole Foods it turns out that things may not be so easy. One of the things that sets the Whole Foods grocery apart from other grocery stores is that they offer local flavors and specialty offerings. The product managers are looking for ways to remove the redundancy and waste that is currently in how Whole Foods does things, but at the same time they want to be careful to not diminish the company’s culture. When you talk with Whole Foods’ customers in order to determine how they view the grocer, you’ll quickly start to hear just how much they value the company’s customer friendly staff. As the product managers try to pull a number of different functions back to headquarters in order to centralize them, they are going to have to be careful that they don’t damage this relationship with their customers. The people who currently shop at Whole Foods put a high value on being able to find items such as local products. Centralization may diminish a store’s ability to provide products like this. The product managers acknowledge that they have a challenge on their hands that may not have been covered in their product manager job description. Grocery stores are always struggling with the balance between trying to lower costs while at the same time trying to maximize the amount of local food content that is in a given store. Whole Foods stores have a reputation for being a high quality location for local content. This is a reputation that they need to make sure that the changes that they are planning on making won’t damage. Whole Foods grocery stores are loved by their customers. Their extensive local food content and friendly staff has made grocery shopping enjoyable for people. However, the arrival of new competition means that the Whole Foods product managers now need to find ways to reduce the cost of offering Whole Foods products. The product managers are viewing a number of changes to the way that Whole Foods operates in order to drive down costs. The first of these is to centralize the purchasing of a number of nonperishable items. They are going to have to be careful to make sure that this doesn’t change the local store’s ability to source and offer local items. Additionally, new software is going to be introduced to speed up a number of mundane tasks. Once again Whole Foods is going to have to make sure that the company’s character is not changed by these changes. Whole Foods has a good thing going. Since they currently have very little centralization and automation, any changes in these areas can only serve to help the company to reduce their operating costs. However, as they make these changes they are going to have to be careful to make sure that they don’t damage what has made them both special and unique to their existing customers. Change is never easy, but the Whole Foods product managers need to accomplish these changes and leave the company with a good taste in its mouth. Question For You: Do you think that the Whole Foods product managers should attempt two big changes at the same time or just do them one at a time? You would think that if you became the product manager of something as big as an automobile, you’d be set for life. I mean, if the company is going to go to the effort of rolling out a new car model, then you’d think that they would be so committed to it that your job is secure for the next 10 years or so. However, as Toyota’s Scion product managers are discovering, sometimes this is not the case.